When starting a business you'll likely end up accepting credit or debit cards, which means hiring a third-party processing firm to manage the transaction between you and the card giants. Visa and MasterCard manage the overwhelming majority of the credit and debit card network but don't work directly with business owners. They outsource sales and customer support to processors, says Amad Ebrahimi, founder of MerchantMaverick.com, a credit card processing comparison and review site. Processors are also commonly known as merchant account providers or aggregators. “The seller has more information than the buyer, so anytime you have a situation like that, it is like a used car sales lot,” Ebrahimi says. As a result, these aggregators are often criticized for confusing merchants with complicated payment schedules and fees. To prepare for this complex marketplace, here are five questions to ask to make sure you're getting the best deal. 1. Is there a cancellation or early termination fee? Ideally, you want a processor that won’t charge for this. But if you must pay a fee for leaving before your contract expires, it should no more than $200 to $400, says Phil Hinke, the founder of MerchantFeeSavers, dedicated to helping business owners understand the industry. Hinke also warns business owners to avoid processors that stipulate a “liquidated damages” termination fee, which means you'll be charged for the estimated amount of the full contract, if you cancel before it expires. 2. Is the payment processor compatible with your online shopping cart? Some processors have proprietary software that may not work with your online shopping cart, so check this before you sign up. The software that connects your online shopping cart and your processor is known as the 'payment gateway.' Ebrahimi says most processors work with a company called Authorize.Net, which has fairly universal software. 3. Is interchange-plus pricing an option? If the answer is no, go elsewhere. With interchange-plus pricing, you can see exactly what MasterCard or Visa charges (the interchange fee), plus what you're paying the processor. If you're locked into a tiered-payment system, however, fees are not as easily identifiable: You could be charged one of three different fee levels for each transaction, depending on the type of card (i.e., airline credit cards cost more per swipe than standard ones) and how it's processed (i.e., if the customer is present, it'll save you in fees). Processors can more easily overcharge you in this pricing structure, without you recognizing it. 4. What fees will I be charged aside from the cost of each transaction? Processors may tack on annual or monthly fees, regulatory fees, compliance fees, and statement fees. Be sure to ask about this upfront. Hinke says these fees generally shouldn't total more than $200 per year for brick-and mortar-merchants -- and no more than $300 annually for ecommerce retailers because of additional service fees associated with the online shopping cart. 5. What customer support is available? You are going to need help when, for example, your terminal malfunctions. Look for a processor that offers phone support available 24 hours a day, 7 days a week, says Ebrahimi. Finally, don’t be talked into leasing a terminal, which is the machine where customers swipe their cards to pay. Hinke says he has seen novice merchants lease a terminal for as much as $139 per month, when purchasing one would only cost between $200 and $350. If you decide to buy, Hinke says to chose a terminal that can be used with different processors – such as VeriFone or Hypercom brands -- should you need to change service providers. 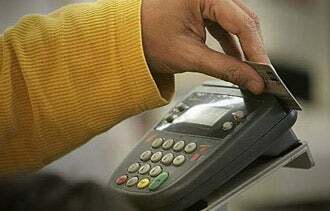 What has been your experience with third-party processors of credit and debit cards?